We offer DISCOUNTS to those who bring their own egg container. We will be changing out our bread in our boxes for other seasonal products due to Customer demands. 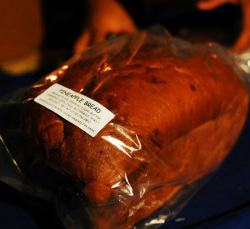 You can still purchase Baker Dude's Bread at Kokua Market on King St. near University Ave.